Tesoro, meaning treasure, showcases the melting pot of several cultures and cuisines. Dine in style in this striking global eatery housed within an eye-catching glass and metal conservatory. Sit back in the dappled shade of large olive trees and savour a buffet style breakfast, followed by a deli style buffet lunch and a la carte options for both lunch and dinner. 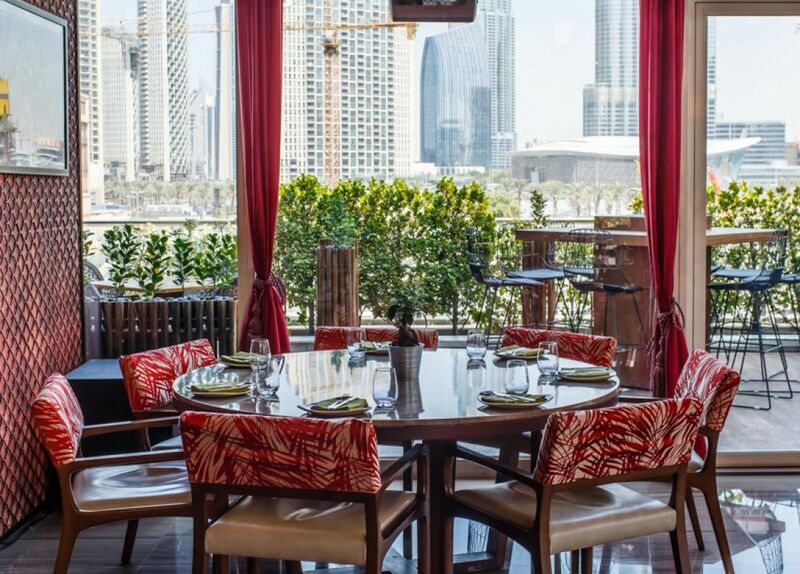 Choose to sit on the terrace to enjoy views of Burj Khalifa and Downtown Dubai. Offer valid for 3 guests and card holder.